Prime Minister Narendra Modi’s visit to Sri Lanka this week, the first bilateral visit by an Indian Prime Minister in over 25 years, is undoubtedly an event of enormous significance. The expected visit by the Indian Prime Minister to Jaffna in the Tamil-majority North is historic first. The Global Tamil Forum (GTF) wholeheartedly welcomes these developments. The recent changes of governments in India and Sri Lanka have significantly altered the geopolitical dynamics of the region. These developments have also created opportunities for the successful resolution of the Tamil national issue, a feat if accomplished, will usher the Indo-Lanka economic and political relations into a different era. Prime Minister Modi’s visit at such a crucial time is potentially transformational. India’s steadfast commitment towards the dignity, equality and well-being of the Tamil people has been a source of immense strength for Tamils in Sri Lanka and in Diaspora. We are grateful for India’s active involvement in the resettlement of the displaced Tamils, typified by the 50,000 houses being built with Indian assistance. GTF is also fully appreciative of India’s role in relation to achieving a political settlement. The new coalition government in Sri Lanka under the leadership of President Sirisena is unique in that it has the support of all the major political parties representing all communities, and the government is presently undertaking an ambitious democratic transition process. In our opinion, there is no better time to arrive at a permanent solution to the Tamil national question, and no country other than India can play the crucial role in making this a reality. However, time is of essence, and any delay in addressing the Tamil concerns, whether humanitarian or political, can only give scope for hard-line attitudes from all sides to re-emerge, and this will make the task of achieving meaningful progress more difficult in the future. 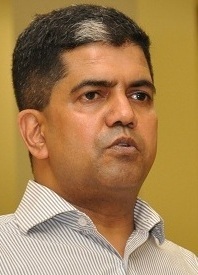 In this context, it is important that the Sri Lankan government immediately takes meaningful steps to address a few pressing issues that includes reducing the excessive military presence in the North and East, transferring the land back to the rightful owners from whom the land was expropriated, and releasing Tamil political detainees who have been incarcerated for years without ever being charged. It is also important that Sri Lanka makes public commitment to comprehensively addressing the war crimes, accountability and reconciliation issues in active collaboration with the UNHRC and other international organisations, and reveal its blueprint to achieve a political solution by negotiating with the elected Tamil representatives. Humanitarian, social and economic needs of people in the war affected North and East and by the Up country Tamils have to be addressed in a systematic and effective way. We humbly request Prime Minister Modi to impress upon Sri Lanka to act on the issues highlighted here, as that will help foster a positive environment and build confidence among Tamils, both in Sri Lanka and in Diaspora. Global Tamil Forum, for its part, is fully committed to play a constructive role, in collaboration with all stakeholders, including the governments of Sri Lanka and India, in making all these a reality.